Speaking of diabetes – we’re paying a lot more over the last few years! And, a triple dose of diabetes news, including bad news for Avandia. Medtronic exec says devices are finished?????? Now that’s an interesting PR move! FDA accepts priority review of expanded Erbitux label. My favorite headline of the week. Type-1 Diabetes Not So Much Bad Genes as Good Genes Behaving Badly, Stanford Research Shows. Meet the new team at Pfizer. Ortho Clinical Diagnostics gets a biological tester approved. Lashes. Lovely lashes. And an eye-color change, too. Welcome to Lumigan. $1.4 Billion – “not meaningful” to Eli Lilly. Huh? Some promising Phase III clinical trial results – Novartis biologic shows great efficacy on a rare autoinflammatory disease. And, Merck‘s Isentress looks good on treatment-naive HIV patients. If only all disputes were settled this way! Would you donate if you got this letter? Normal pets, OK. This bird – no! This will be the funniest 5 minutes you spend today. The “Me Monster”! Blogging – according to Fard Johnmar, no longer niche. The 2008 Patient Adherence Update – chock full of stats, charts, and other good stuff on a very important topic. From MedAd News. Are free drug samples the last best hope for sales reps? An interesting take from a recent conference (though I have questions about the relative authority of the speakers). From John Mack’s Pharma Marketing blog. Also from John Mack, Prescriptions and Recession. Allergan: great marketing, less PhRMA code? What about that Botox marketing…? On-line video growing in popularity among physicians. From Shwen Gwee. 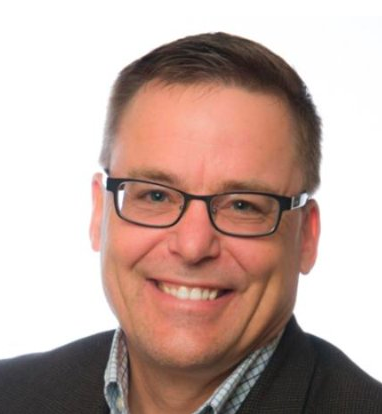 Marc Monseau (from the J&J blog JNJ BTW) with some thoughts on pharma and social media. From Shwen Gwee. Various Web 2.0/pharma thoughts and resources from Shwen Gwee. An interview with Mark Senak, the EyeonFDA blogger. Jim Edwards summarizes what he calls Pfizer‘s Race to the Bottom. With some similar commentary on Novartis‘ growth/shrinkage. Pfizer’s Chantix: going down…or up, depending on which continent you’re on…US researchers say even more warnings needed. FDA: Another day, another stall – U.S. regulators have extended by three months their review of a proposed osteoporosis drug from Pfizer Inc to study the pill in more depth, a company spokeswoman said on Tuesday…more And, while we’re at it, a thumbs down (for now) for Abbott‘s new version of Vicodin. Oh, and hey, let’s delay Abbott’s new cholesterol drug while we’re in foot-dragging mode! Will BMS lead the charge in buying up undervalued biotechs? Earnings roundup for Schering, Pfizer, Roche – here’s the scoop. Celgene seems to be doing quite OK.
Take a Chill, Pill: are oral cancer drugs all they’re cracked up to be? B-I has some encouraging potential early results for novel cancer drugs. The WSJ talks about healthcare, IT, and the future. Interesting stuff. I had the pleasure, this week, of attending the Digital Pharma conference (sponsored by eXL Pharma) in Princeton, NJ. I’ve been to a number of conferences over the past years that did not meet expectations. This one, however, EXCEEDED my expectations. This conference was about the use of new media (esp. Web 2.0/Social Media) in pharma marketing, a topic near and dear to me. The speakers, on balance, were solid and knowledgeable. As usual, in a setting like this, there were some who were just spewing platitudes and generalities, but some were quite engaging and well-informed. I “live-blogged” the conference (first time I’ve done this) and the experiment was a great success – not the the least reason being that it forced me to stay engaged as I uploaded the messages in real-time to the Impactiviti blog. If you’d like a summary of the sessions, you can start with this link to the first one, and then scroll “up” to the various others. I also was invited to speak on a panel, and showed the attendees how tools such as live-blogging and Twitter were being used (by me and handful of others attending) to interact and share with the “outside world” during the conference. Internet Surpasses Doctors as the Top Source of Health Information (from Manhattan Research). Marc Monseau (of J&J’s corporate blog JNJ BTW) on Healthcare Companies and the Social Web. FREE upcoming webinar: E-Detailing in a Web 2.0 world. Info here. You may wish to purchase the “Social Media Pharma Marketing” Supplement to Pharma Marketing News. Click here for more details — including a table of contents and link for ordering the pdf file online. If you order it, use the discount code SMM444JM and get $17 knocked off the list price of $29.95! You may wish to purchase the “ePharma Marketing Special Supplement, Vol. 2 Sec. 1 & 2” Supplement to Pharma Marketing News. Click here for more details — including a table of contents and link for ordering the pdf file online. If you order it, use the discount code sep268 and get $15 knocked off the list price of $29.95! Fred Baron to receive Tysabri after all (this human/medical interest story is a bit involved, but brings up important issues about experimental/compassionate use). High-dose Zevalin with stem-cell infusion leads to strong survival results for NHL. FDA becomes FDelAy – Takeda drug, others stalled at agency. Who needs those stinkin’ deadlines?? But, next-generation Astelin (from Meda) does get an approval. 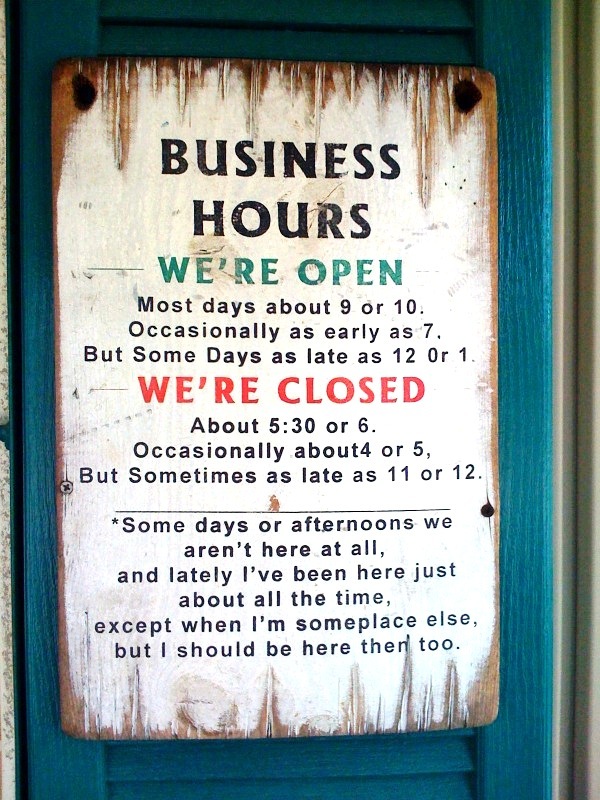 The most bizarre “We’re Open for Business” sign ever. Ever wondered what the sun looked like – up close and personal? Wonder no more! If your Sales Training dept. ran your Church – very funny! Combine fall leaves with a slow shutter speed and a camera twist. Result: this! (from my iPhone).